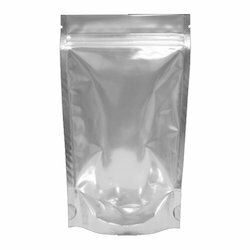 Firstly, stand up pouches offer practically all the benefits of traditional packaging at a lower cost. This makes them a viable alternative for liquid packaging. These pouches are not resource hungry. It takes fewer natural resources to produce a typical plastic pouch. Their transportation is also easy as they take up less space in a transport medium. Also, these pouches hardly take up any space in a landfill. This makes them a greener packaging option. 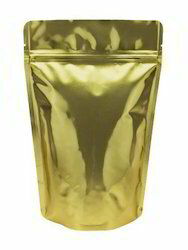 By keeping track with the market development, we are offering optimum quality Stand Up Pouch. 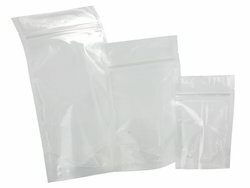 To furnish the diverse demands of our valued clients we are involved in offering a wide range of Plain Stand Up Pouches. 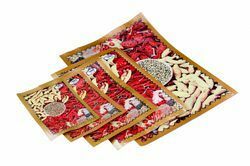 Owing to our rich industrial experience, we are engaged in offering a wide range of Printed Stand Up Pouches to our valuable customer. 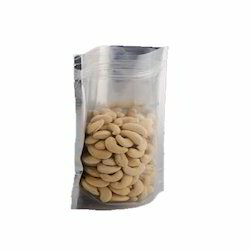 The offered range of products is suitable for packing various kinds of products like pickles, gulab jamun, rasgullas, mouth fresheners, dry fruits, ice cream mix and color powder. 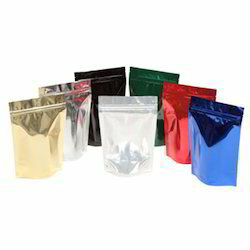 Over the years, we have established ourselves as a prominent name in the industry in offering a wide range Special Stand Up Pouches. 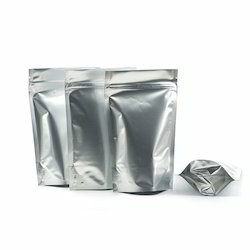 Being a customer centric organization, we are offering a quality approved the range of Multilayer Laminated Stand Up Pouches to our clients. 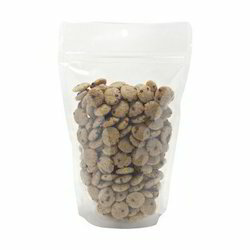 The offered range of products is suitable for packing namkeens, powders, dry fruits, empty capsules, and Papads. In addition to this, the products offered by us are highly acclaimed in the industry owing to its supreme quality. We offer Pickle Stand Up Pouch which has the ability to stand up on a shelf for maximum sales impact through its packaging pouch design. Benefiting from the capability of our skilled recruits, we are deeply active in offering a complete array of Masala Stand Up Pouch. With sincerity and hard work of our professionals, we have carved a niche for ourselves in this domain by offering Seasoning Stand Up Pouch. 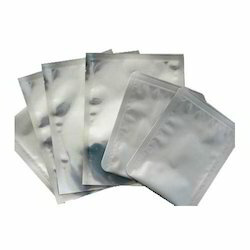 Our organization is highly appreciated among the countrywide clients for offering a wide assortment of Farsan Stand Up Pouch. 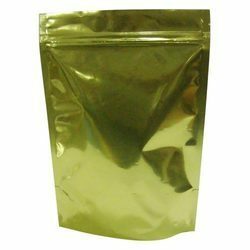 With the valuable assistance of skilled team of professionals, we are offering an extensive range of high quality Tea Stand Up Pouch. 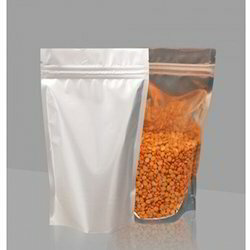 Our firm specializes in providing our prestigious clients with a quality array of Haldi Stand Up Pouch. 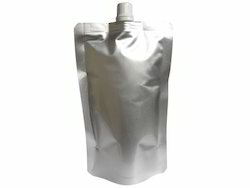 We have marked a distinct and dynamic position in the market by providing a high quality array of Chilly Stand Up Pouch. 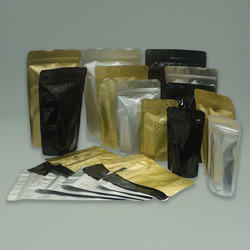 We facilitate our clients’ best quality range of Chutney Stand Up Pouch. 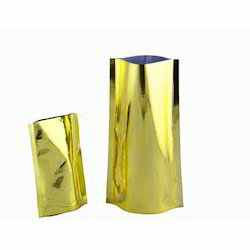 We are one of the reputed organizations engaged in offering Gold Metallized Stand Up Pouch in the market. With sincerity and hard work of our professionals, we have carved a niche for ourselves in this domain by offering Spout Pouch. 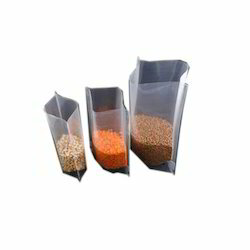 We are leading manufacturer of Multilayer Stand Up Pouches. 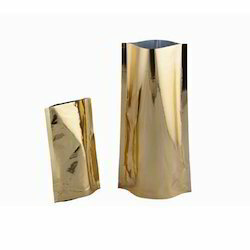 Owing to our rich industrial experience, we are engaged in offering a wide range of Gold Metalized Laminated Stand Up Pouch to our valuable customer. The offered range of products is suitable for packing various kinds of products like pickles, gulab jamun, rasgullas, mouth fresheners, dry fruits, ice cream mix and color powder. 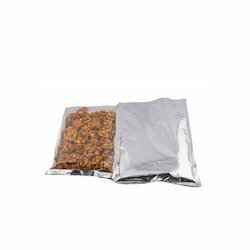 We are one of the reputed organizations engaged in offering Dry Fruit Stand Up Pouch in the market. 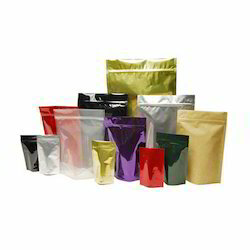 Being a quality-oriented company, we are engaged in providing a broad array of Condiments Stand Up Pouch.